SEUNGRI, the frequent visitor to Singapore will be making his way back on 23rd February 2019 for his solo concert, "The Great SEUNGRI Tour Live in Singapore". This concert will also mark SEUNGRI last concert before his enlistment. 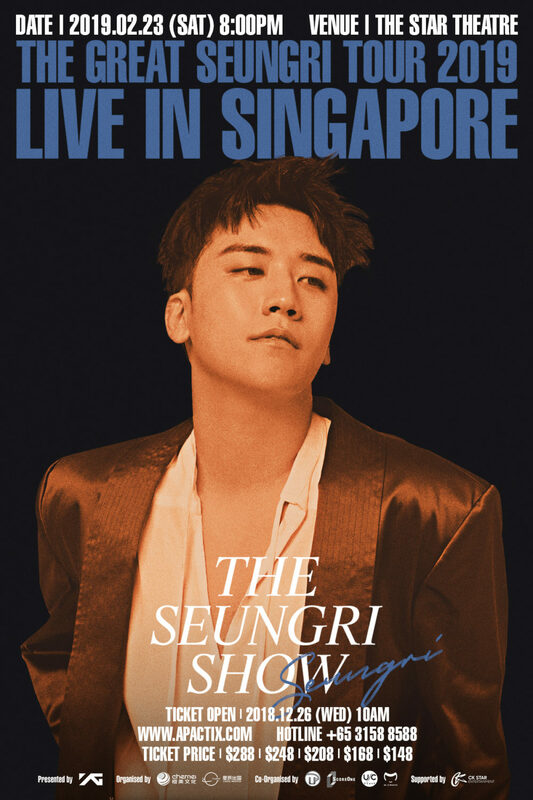 The tickets are now available to purchase, so, don't miss out the chance to meet SEUNGRI before his enlistment! 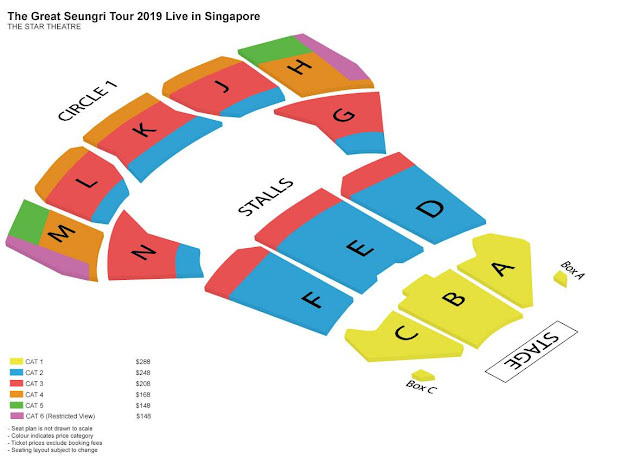 For more information, check out CK Star Entertainment Singapore FB Page.